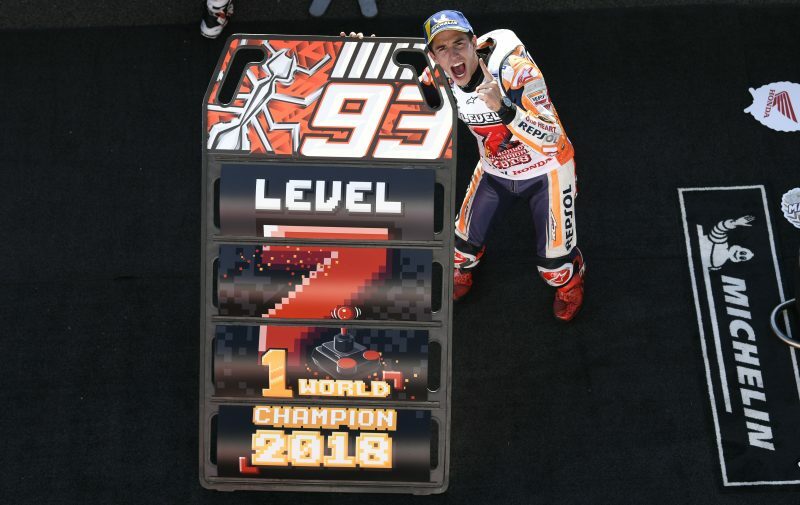 After winning his seventh World Championship, Marc Márquez reviews the keys that allowed him to win the MotoGP crown for the third consecutive year. Marc Márquez made history once again at the Japanese Grand Prix, winning his fifth MotoGP title at the first available opportunity. His targets for the season are now to help Honda to the constructors title and Repsol Honda Team to the team honours. Speaking after the race, the newly proclaimed MotoGP World Champion 2018 tells us what have been the keys to him retaining the title and how important his team is in his day-to-day life. Traveling so much, you see more of your team than your family. Tell me what they are like as characters. Between so many races, events, and commitments, have you ever been a tourist? New York, London, Rome…? Where would you like to go if you had time? This entry was posted in Global News, Interviews, MotoGP, Motorsports by admin. Bookmark the permalink.